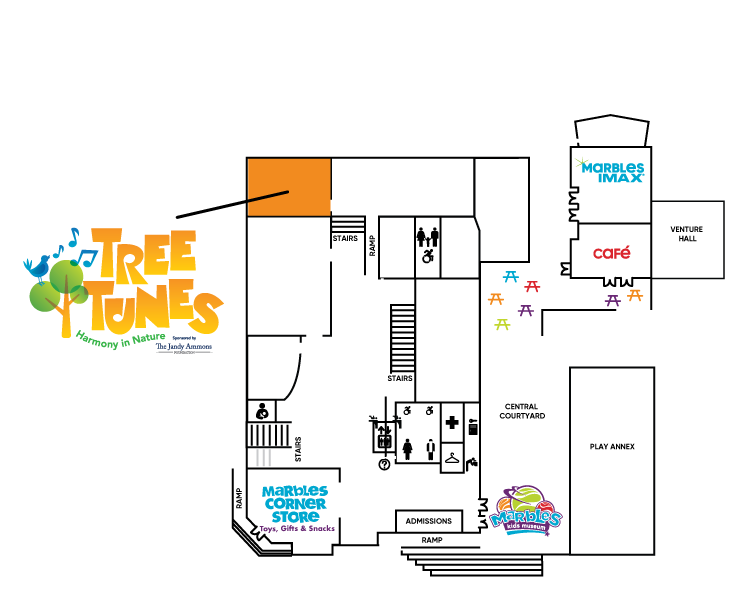 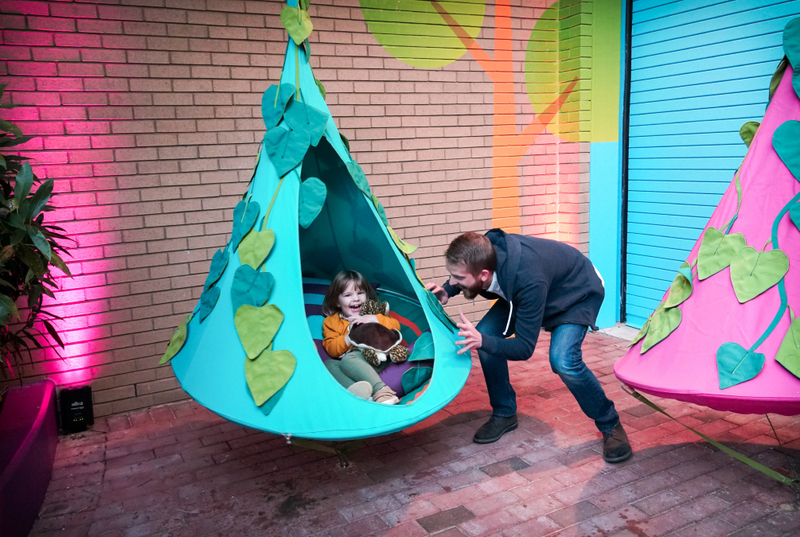 Play music and be inspired by the great outdoors in TreeTunes. 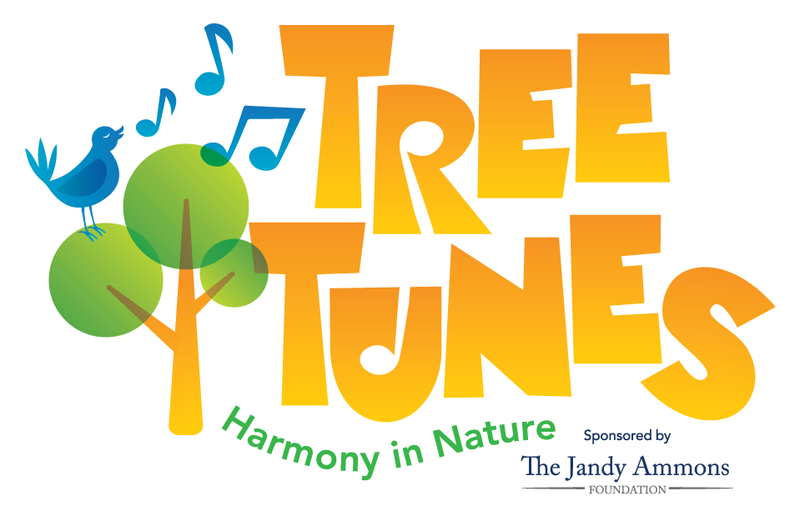 Work in harmony to play xylophones, bells and more...use your feet to play the banjo, or kick back and relax while shaking some chimes. 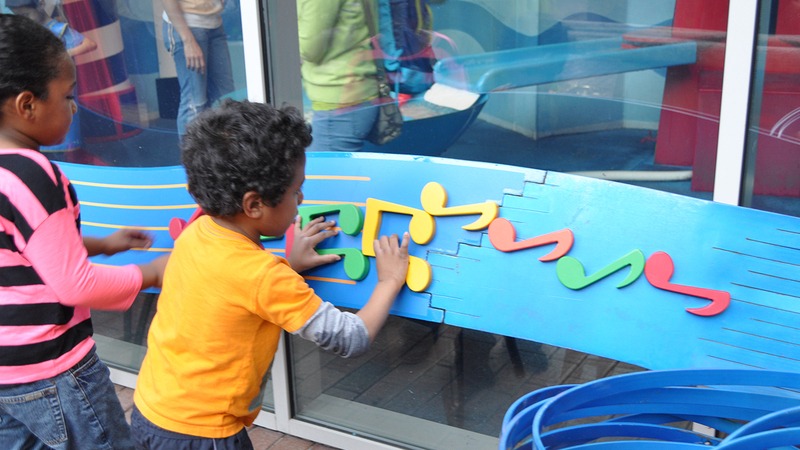 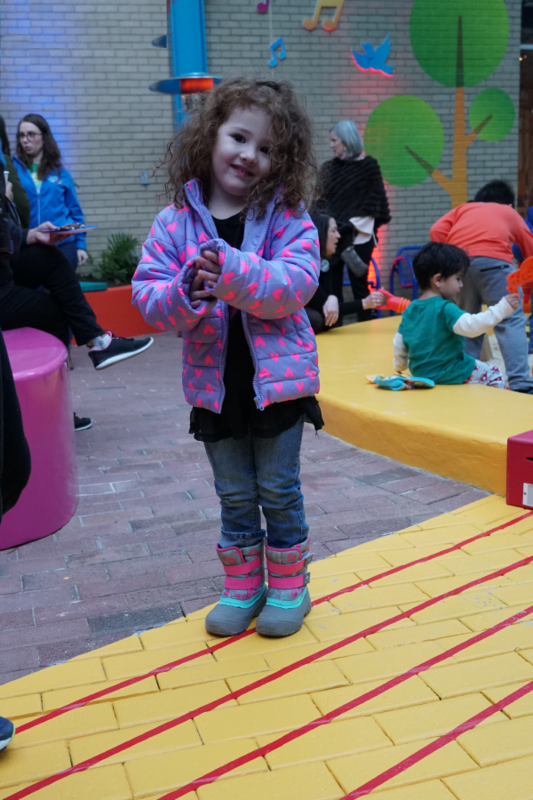 Make a melody for friends, family and downtown visitors passing by this percussive musical playground.